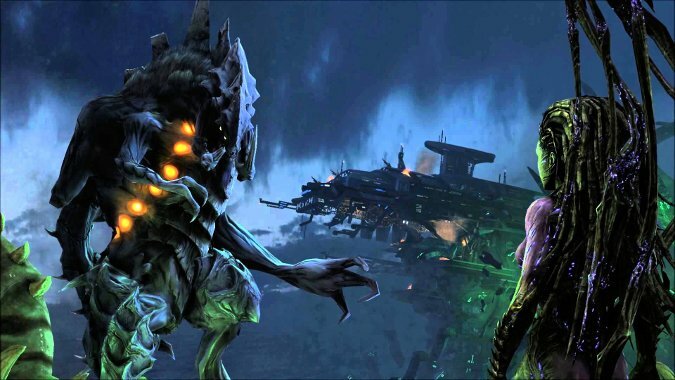 We said it was coming, and now it’s been confirmed: Dehaka will be the next character to enter the Heroes of the Storm Nexus. Though Blizzard hasn’t announced a date on Dehaka’s arrival just yet, if the team keeps to the usual three to four week release schedule we’ll see him next week or the week after. Interested in seeing just what this melee Warrior will bring to the game? Check out a rundown of his skills and a gallery of him in action below. Trait: Essence Collection (D): You collect 10 Essence per Hero Takedown, and 2 per enemy Minion killed nearby, storing up to a maximum of 50 Essence. Activate to consume all stored Essence and regenerate Health over the next 5 seconds for each stack consumed. Can be cast during Drag and Burrow. Drag (Q): Lash out with your tongue, dealing light damage to the first enemy hit, and dragging them with you for 1.75 seconds. Dark Swarm (W): Over the next three seconds, you gain the ability to move through units and deal damage in an area around yourself. Deals double damage to Heroes. Can be cast during Drag and Burrow. Burrow (E): Burrow into the ground, entering Stasis and becoming Invulnerable for 2 seconds. Heroic: Isolation (R): Launch biomass that deals damage, silences, and slows the first enemy Hero it hits by 30% for 3 seconds. For the next 6 seconds, the affected enemy loses sight of allied Heroes, and has greatly reduced vision. Heroic: Adaptation (R): After a 5 second delay, 60% of all damage taken during this time will be returned to you as Health. But just how will Dehaka play? Li-Ming and Xul, the last two heroes to join the game, both came out of the gate strong, only to be hit by nerfs a few weeks later (though Xul remains strong despite his recent nerfs). 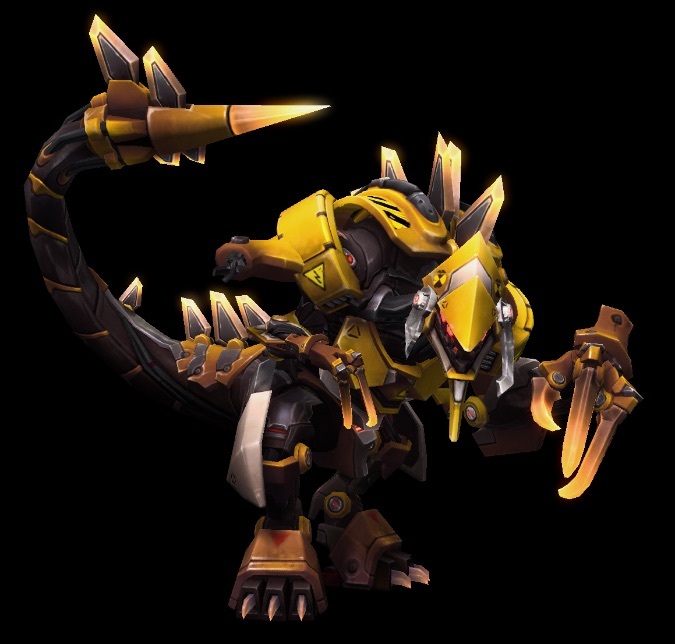 We’ll have to see Dehaka on the PTR or live before we can judge just how he’ll fit into the current meta. This matches a theme we’ve seen (and loved!) with Anub’arak’s Cyb’arak skin and Tassadar’s Mecha skin. We welcome our new robot overlords!